Brokerage forum for businesses and research bodies seeking research, technology and business partners at one of the major International Fairs in the Healthcare. An international Healthcare Brokerage Event is being organised by the European Network Enterprise Europe Network to be held 12-14 November 2018 in Düsseldorf (Germany). The Forum will take place as part of the MEDICA international trade fair 2018. Greek participation will be supported by the National Documentation Centre (EKT), as the co-ordinator of Enterprise Europe Network-Hellas, the Greek node of the European network. The Brokerage Event is designed to attract businesses and research bodies seeking research, technology and business partners in healthcare. Participation in the Forum will provide opportunities to find appropriate partners for international co-operation, learn about innovative technologies and promote exploitable research results. 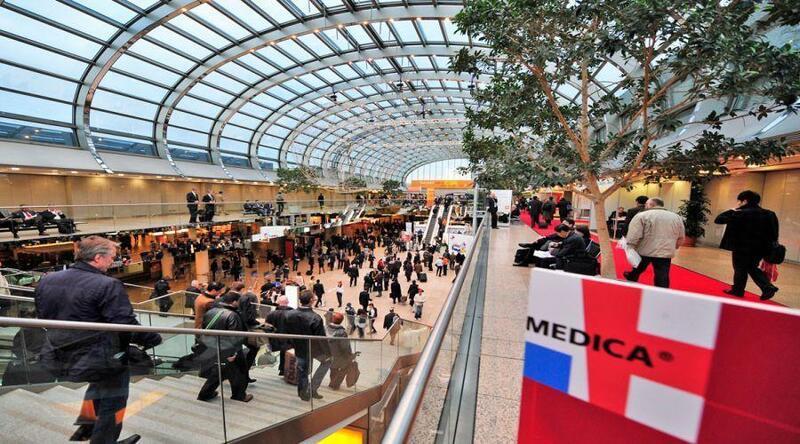 MEDICA is the most important global meeting point for those involved in the medical sector. During the event participants can meet suppliers of new technologies from all over the world and develop international business partnerships. Last year, 1100 meetings between more than 300 participants from 40 countries were conducted. For further information about participation and registration for the event contact the National Documentation Centre (Dr Cristina Pascual, tel: 210 7273920, email: cpascual@ekt.gr ).